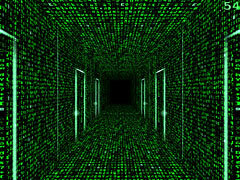 Look inside the Matrix as you find yourself trapped in an endless corridor somewhere between flying code and reality. Represent your favorite female hocker players! Download this winter screensaver here!